There are over 20 butterflies (and wings) on this antique bronze hair comb (that is wide about 5.5 cm,), and each one measure from 3 to 6 cm. 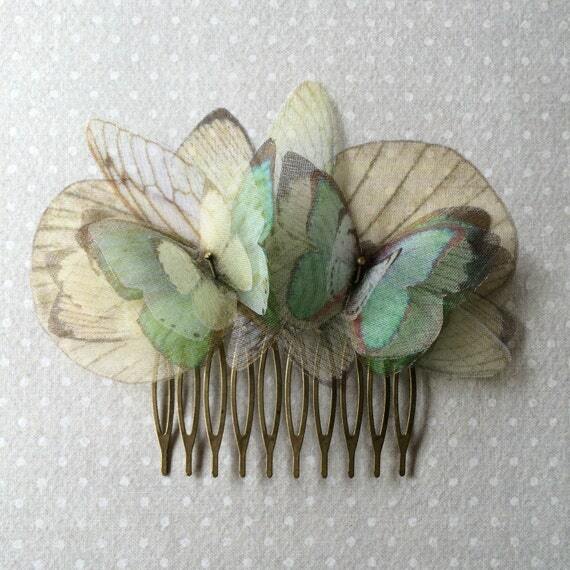 I’ll create your custom hair comb, using butterflies colors that you love! It will be exactly as you love! 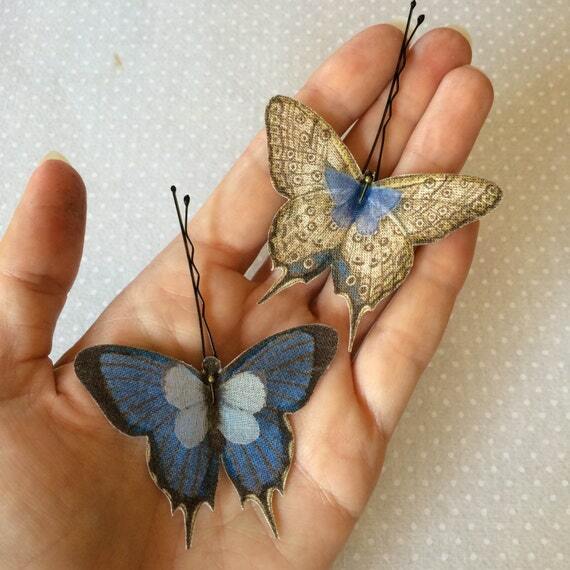 Lovely hand-made bobby pins with BLUE and IVORY butterflies. 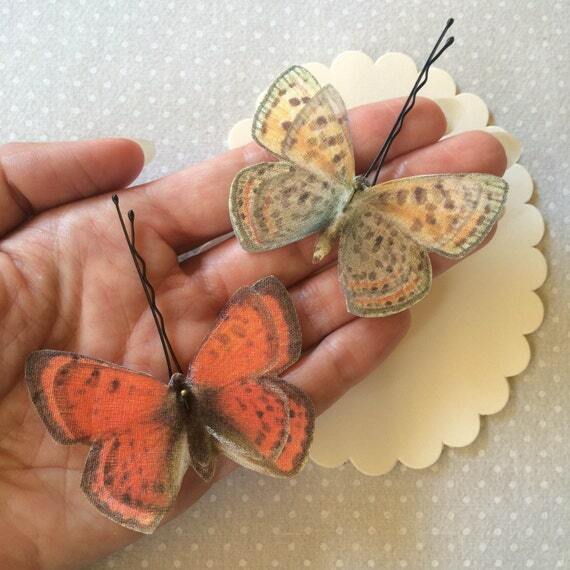 Lovely hand-made bobby pins with fabric butterflies. Reserved for Margaret, thank you!!! I’ll ship the necklace gift wrapped, for your loved one. 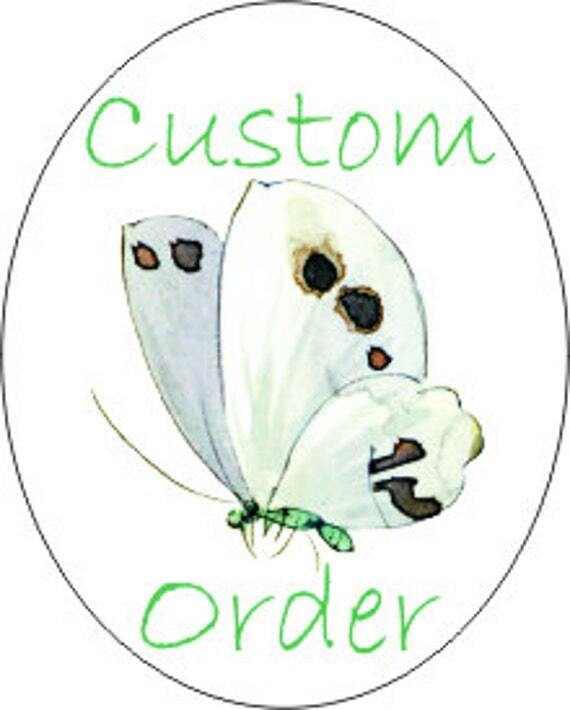 Custom butterflies necklace, reserved for Amy. Thank you!!! 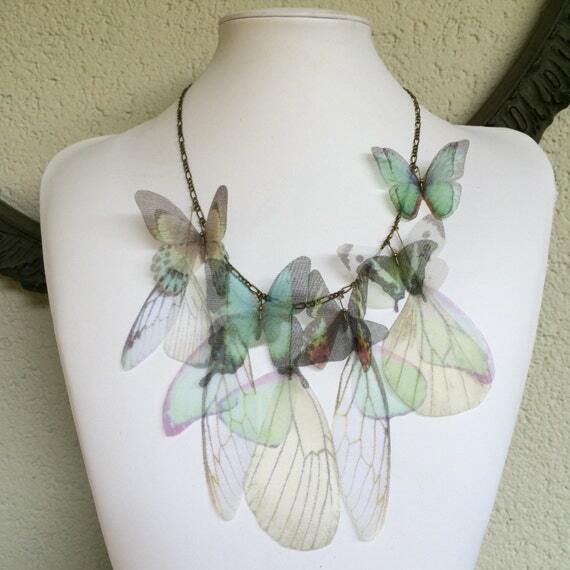 I’ll create your custom necklace as you asked me! I’ll ship the necklace lovely wrapped.